I will be relocating my practice to Bellevue. It is with great enthusiasm that I will be joining Athenix Institute in Bellevue. 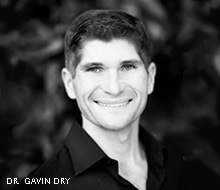 We are pleased to welcome you to the home of Kirkland and Bellevue, WA cosmetic surgeon, Dr. Gavin Dry. Dr. Dry is board certified and known for providing state-of-the-art plastic surgery techniques to produce excellent, predictable outcomes for his reconstructive and cosmetic surgery patients in the Seattle area. Our staff is highly trained to provide personalized care in a warm and friendly setting. It is our wish that your experience at our practice is positive and highly rewarding. Our website is designed to provide as much information as possible about the plastic surgery treatments available from our office and how they can produce desired results for our patients. Our Bellevue plastic surgeon, Dr. Gavin Dry, helps patients create their ideal shape and aesthetic with modern treatments that produce real results. We welcome new patients to experience the difference that a commitment to quality cosmetic plastic surgery can make in helping them achieve their wishes. Dr. Dry provides surgical procedures for both men and women that assist in boosting confidence and creating a greater sense of well-being. If you have questions about our services, we encourage you to browse our website or contact us today for more information on how we can meet your needs. Our entire team looks forward to serving you!